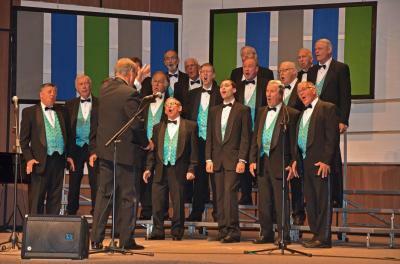 We provide the opportunity to sing in both a chorus and quartet format. We have an annual show and sing at a variety of community functions. Christmas pot luck, strawberry social and corn roasts are just a few of the social activities that the chorus participates in throughout the year. We support Harmonize for Speech. This is a charity that works to help children with speech disabilities. We sing 4 part harmony in the Barbarshop style. There is no need to know how to read music as most songs are learned from part specific music tracks. We sing a variety of music from traditional "Barbarshop" songs to Gospel to modern pop favourites. For more "Barbershop Harmony"
Learn to sing a tag. Jim Murray, former Secretary of the Oshawa Chapter of the Barbershop Harmony Society (Durham Men of Harmony) is shown here presenting a cheque for an $850.00 donation, to Jim Finlay a member of the Board of Trustees of the Harmonize for Speech Fund of the Ontario District of the Barbershop Harmony Society. The Ontario District charity helps individuals with communicative disorders throughout the province. For more information visit their website harmonize4speech.org. 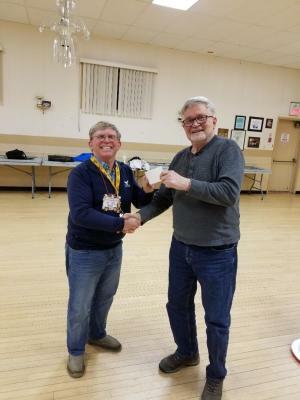 The presentation was made on Monday, December 11 at the weekly chapter meeting. The funds were a portion of the proceeds from the recent show "With a Little Help From Our Friends" held on October 21, 2017 in Courtice. The wives of the chorus members can participate in the "Backseat Drivers". They meet once a month and help with fundraising and the operational aspects of the anual show. 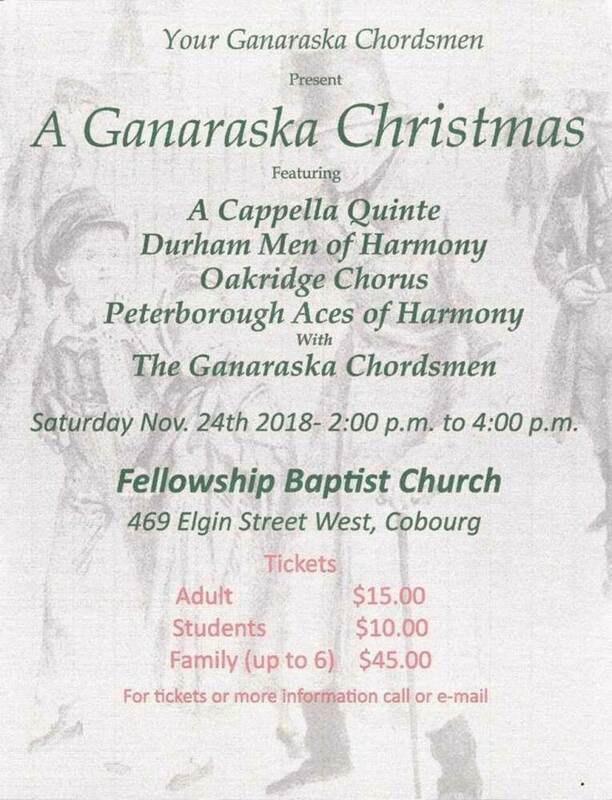 ​The Durham Men of Harmony will be singing with the Ganaraska Chordsmen at their Christmas concert. Tickets are available at the door.